Recently I've really been trying to work on self love. I'd reached a point in my life where I hated my job so much that the thought of quitting in two and a half months literally felt like two and a half years away. I'd wake up in the mornings, feeling sorry for myself, knowing that I had eight and a half hours of hellish retail work ahead of me, before I could come home and cuddle my laptop. I was eating crap most of the time out of sheer boredom and frankly it was making me unhappy. So about a week ago, I decided that enough was enough. I was going to start eating healthily again. That meant no crisps, no chocolate at lunchtime and most importantly: no mindless snacking. And already I can feel such a difference. I have more energy, my body feels more responsive and I get tired and sad less. So for today's post I wanted to share 3 things with you guys that are super easy changes to make to your daily life to make your feel healthier and happier! In just the past few days I've been trying to drink 600ml of water throughout the day on top of my 300ml of orange juice at lunchtime. (Side note: I'm referring to the time I'm at work, obviously I drink in the mornings and evenings too!) This is great for so many things and since I'm usually stood, incredibly bored at a checkout till, it gives me something to do. But in all seriousness I cannot recommend drinking water enough. My mum has been badgering me to drink more for years now and I've always kind of ignored her - sorry mum - but now I think I'm addicted. Even writing this post, I've got a big bottle next to me on my bedside table ready for the occasional swig! But why? I hear you ask, do I need to do this? Well firstly, from a purely aesthetic front, my skin is looking so good right now! It's only been four days and already my breakouts have cleared up, I've got no new spots and my hyper pigmentation has smoothed out giving me a more even skin tone. If you're looking for a miracle beauty product, seriously ladies, water is it!! Like I said above, I've also been noticing that my energy levels are heightened, and I think this may have something to do with it. Because whilst I wouldn't say I was dehydrated before, I definitely wasn't drinking enough liquid. Did you know that it's recommended that we drink two litres of water a day?! Even now I reckon I'm probably only on about 1.5 so I dread to think how bad it was before! And of course, with summer right around the corner it's never more important to keep hydrated! Their success does not equate to your failure. I think in this day and age it's incredibly easy to get bogged down with hearing stories or watching videos of other people's success. And sometimes this can get us thinking: "Oh god, I'm never going to make it! Look how beautiful their photography is! Her figure is so stunning! Their life is perfect!" But in reality it's not. No ones life is perfect no matter how much it may seem like it through the internet. We're all guilty of sugar coating our Instagram feeds, of only posting the selfies when the lighting is perfect and we're heading somewhere fun. But newsflash: it's not real. 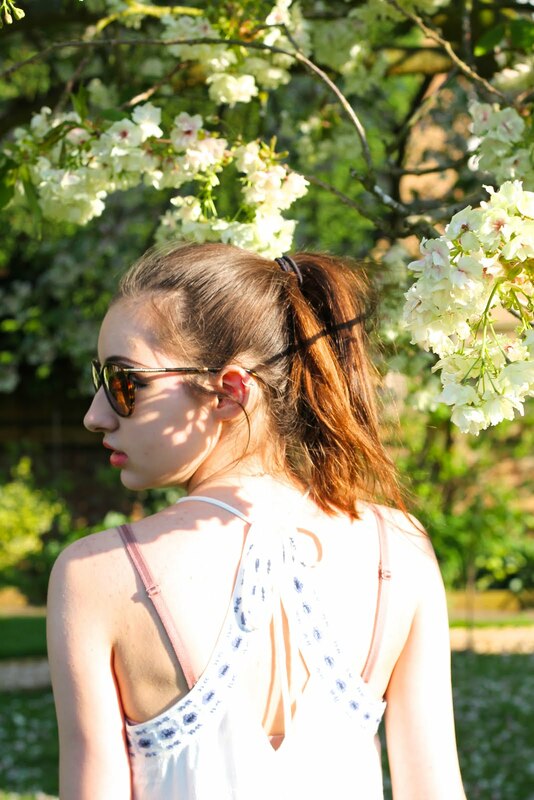 It's an illusion, because most of us don't work as full time bloggers, cuddled within than perfect white marble house surrounded by pink peonies. We go to work or school on top of writing regular blog posts and this ladies, should be commended! So next time you're on Tumblr (AKA the minefield of pretty pictures) don't obsess too much over that insatiably stunning photo of a beautiful girl in a bikini because she probably took that *candid* at least ten times trying to get the right shot. Whether it's certain people or a job you hate or a boyfriend / girlfriend making you miserable; I say, get rid! Now in theory this is a lot more easy to do than in reality as I'm certainly guilty of letting my *friends* get away with not texting me for months and then as soon as they return from uni pretending like they've missed me - honestly honey, I'm not that stupid - and suddenly wanting to hang out 24/7. Even now, just thinking about it, it really makes me feel crap. Because it's so unbelievably obvious that I'm completely irrelevant in their new lives (which is fine, I low key don't even care that much lmao) I just wish they'd stop pretending we're still as close as we were. And I'm sure when I go to uni in September I'll be the same, but I'm not really the sort of person to fake a friendship, so I imagine ties will be cut. Now what was the point of that rant? Well, whilst cutting people out may feel difficult, sometimes it's a lot better for your mental health to remove some of the negative from your life. And if it's people that are making you feel rubbish? Well, I say: snip snip, cut those ties!! And if you're worried that you're going to end up totally friendless, I have two things to say. Firstly, those people you cut out? It was for a reason. So surely having a smaller group of close friends is better than a bunch of fake friends you only use you as a last resort. And secondly, this totally frees you up to go and meet new people: whether it's starting a new sport / drama group, going to blogging events (internet friends are the shiz) or even just making more of an effort with that work colleague you kinda-like-but-don't-want-to-seem-like-you're-bothering-too-much. Who knows? It might be the start of a beautiful friendship! 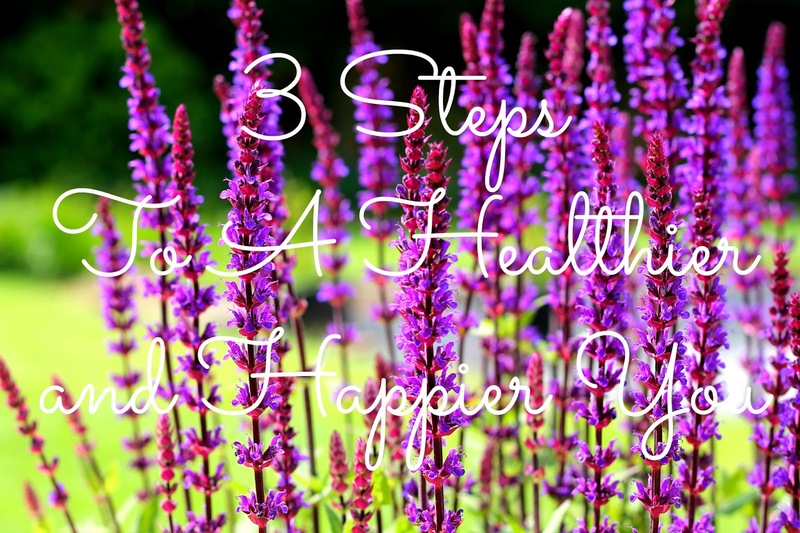 Okay, so that was my three tips of becoming healthier and happier! If you've got any please feel free to share them below and I'll see you all very soon! Couldn't agree more with number 3! Cutting out the negative. I'm someone who feels affected by others negativity and it really brings me down sometimes! I can't stand being around someone or talking to someone who is negative all the time! My work place was such a negative environment I used to dread going there every day. Since I've been away on mat leave I've realized I haven't felt this happy in a long time! Anyway, great post :) Hope you have a wonderful day! Great thoughts and totally valid! Hahaha 'snip snip cut those ties' - yep I've certainly done that, I've just grown to not expect a lot from people! - I have a small group of friends I see regularly and thats enough, can't be doing with fakeness/ bitchiness. It just make you feels so much better! Also, yes drinking water is like 100% a great move, I try and drink about a litre everyday, I reckon that's whats cleared my acne up because I NEVER used to drink any water and my acne was disgustingly bad! Thank you my equally delightful chum! Yep, I reckon water is the best thing for your skin! It certainly has helped mine loads and I've only been drinking it regularly for like 5 days!